For the first time, Miles Wine Cellars is releasing all of our own beers at the same time. The taps are full of flavor! 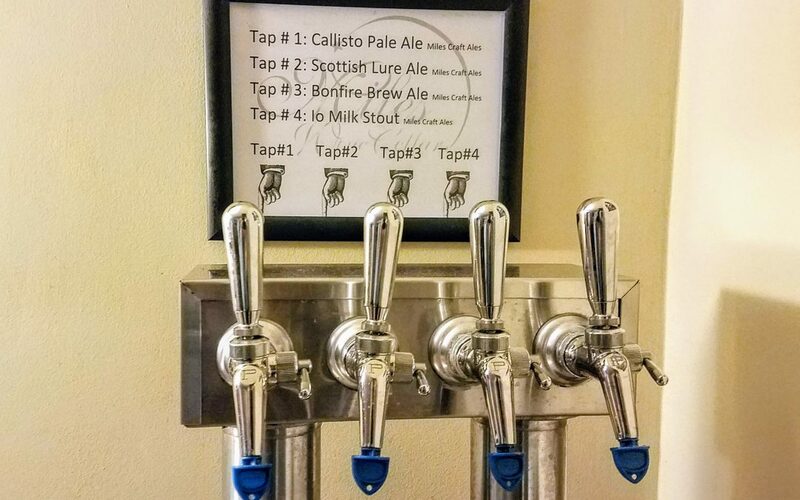 Taps includes Calisto Pale Ale, Scottish Lure Ale, Bonfire Brew Ale, Io Milk Stout. They can be purchased by the glass or growlers. Come in and sample a brew today. A huge thank you to our brewer, Evan Miles! Only sampled the craft ales but really enjoyed them particularly the stout and bonfire brew which you normally only see in the fall season. Gorgeously restored building and lakefront grounds and view as well. Will return soon.